Our body is in constant interaction with gravity whatever we are doing. The forces of gravity directly form the shape and functionality of human organism. In the past century, American biochemist Dr. Ida P. Rolf developed ROLFING®, a method of structural integration, which re-organizes the structure of human body and improves its functionality. ROLFING is a touch-based therapy that recreates the body’s natural balance in relation to gravity. By mobilization of the deep connective tissue, so called fascia and via introducing more efficient movement coordination, ROLFING affects the function of human body as a whole and it develops its ability to react to new situations with adaptability on physical, mental and emotional level. 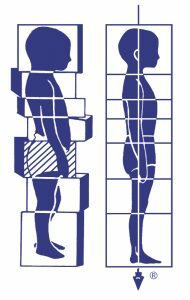 The main benefits of ROLFING therapy are: a significant improvement of breathing, enhanced body perception, ease and resiliency in movement, adaptability in social interaction, efficiently balanced body without the feeling of stiffness, various pains and chronic stress.